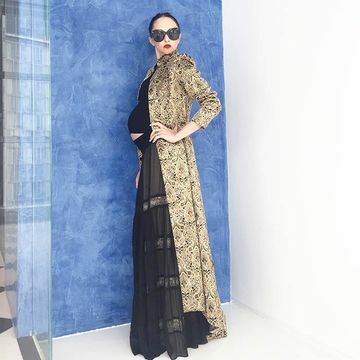 Stacey Bendet Eisner, CEO of fashion line Alice + Olivia and wife to the son of Disney exec Michael Eisner, knows how to dress a baby bump. Here are her top tips. Stacey Bendet Eisner is the CEO and creative director of Alice + Olivia, a New York City-based fashion line. She's also married to film producer Eric Eisner, son of Disney exec Michael, and the two are expecting their third child in a couple of weeks. Already mom to daughters, Eloise, 6, and Scarlet, 4, Bendet knows a thing or two about accessorizing her pregnant tummy—not to mention she's also been featured on the Vanity Fair Best Dressed list for two years in a row. Here are her top tips for looking sharp all nine months. Fit Pregnancy: If Kim Kardashian's anything to go by, there's a lot of pressure on women these days to make their bump look great. What are your top pregnancy fashion tips? 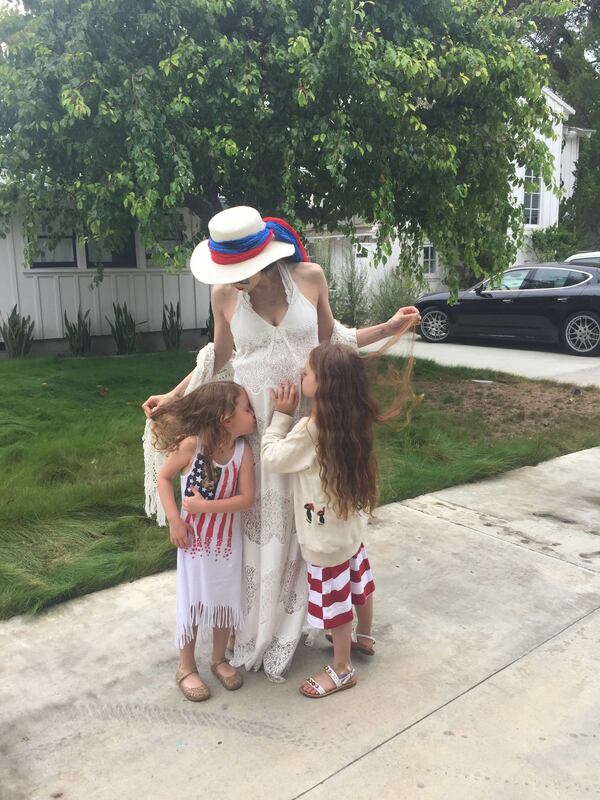 Stacey Bendet Eisner: Some of my go-to pregnancy looks have been baby doll dresses with high boots, fitted dresses with long vests or crochet scarves accessorizing the look—in the last trimester I find fitted and tight pieces that show off the bump are better than big voluminous pieces, which can make you look bigger! Kim has done a great job at dressing in chic tonal colors and accentuating her bust vs. belly. FP: Which maternity items should be in every mom-to-be's closet? SBE: A chic coat or long blazer is a must, as well as some fitted dresses in knit or ponte—ones that are a little heavier verses a standard jersey, which can show every bump. I also love this season's ponchos, capes, and blanket knits—the perfect bump accessories! FP: If a mom-to-be were to buy one splash-out maternity fashion item, what would it be? SBE: Honestly I say splurge on a bag or an amazing pair of shoes that you can still appreciate after the baby. I am loving our studded thigh high boots right now. For clothing i would go with a gorgeous jacket—again something that is fashionable but also wearable post-baby. FP: Obviously it's all about the bump when you're pregnant, but are there other accessories—jewelry, nails, hair, makeup—that are a must during pregnancy? SBE: Yes. I constantly have fun with accessorizing when pregnant, I will often wear an all-black look but then really style with vintage sunglasses or an amazing flower headband or a gorgeous necklace. I also love looking at jackets as accessories—for example a simple all-black look paired with a beaded jacket becomes total mommy rockstar [material]! FP: Should moms-to-be consider styling their hair differently or finding a new look during pregnancy, or should your maternity style reflect your non-pregnant fashion sense? SBE: Major rule: Never give yourself a drastic maternity hair cut! You will hugely regret it! Enjoy the thickness and fullness of your prenatal hair. Although in the summer I am all about the sleek bun look. FP: What's your recommendation for moms looking for stylish and comfortable shoes? SBE: Give up the stiletto and embrace the platforms and wedges! You can still wear heels if you find ones that are comfortable. Flatforms are fresh this summer and platform clogs and wedges will work with all the fall bellbottoms.